Popeye, the cartoon character who loved to eat his spinach, knew what he was talking about! Spinach contains iron, vitamin A and lots more good stuff plus it’s a good source of fiber and protein. 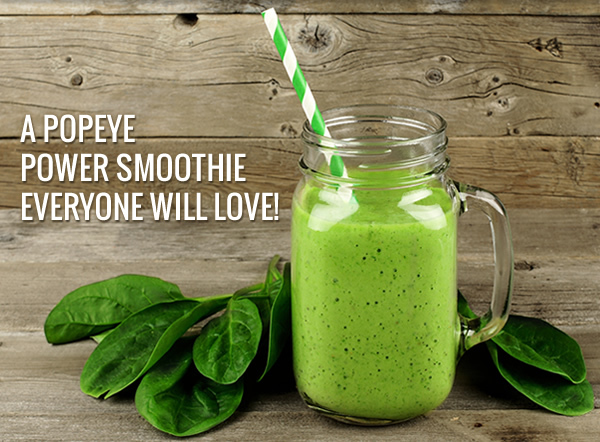 We think he would love this smoothie made with spinach! Place pineapple, mango, banana, spinach, almond milk, and ice in a blender. Blend until smooth. I have had the same Mantis tiller for about 25 years. Once I got the hang of starting a two-cycle engine I have had no problem. The first time of the season it takes a bit to start, but once started it never stalls, balks, or quits. It rally makes the soil nice to work in. I love it! My Mantis along with indoor plumbing and the washing machine are the greatest inventions in the history of mankind. Thanks for such a dependable garden buddy.